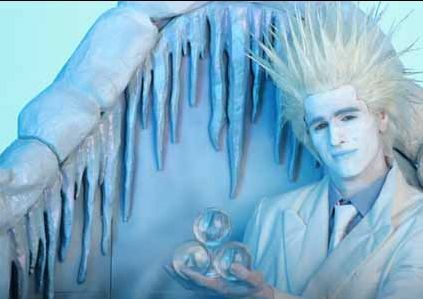 Jack Frost’s crystal ball manipulation is a charming and eccentric form of juggling, difficult to do but lovely to watch. This corporate entertainer works well for Christmas corporate parties. 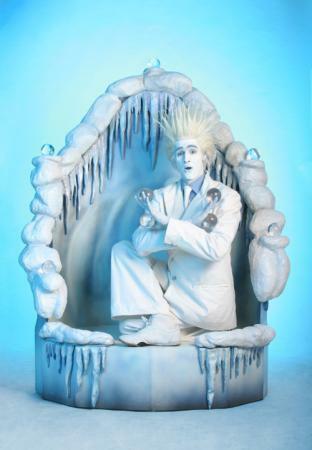 Jack Frost is a crystal ball manipulating, contact juggling and juggling living statue. If you want to book a great Christmas performer for your corporate event then call Contraband. Jack Frot has attended Christmas events all over the UK and abroad, and would make an impact at your event. 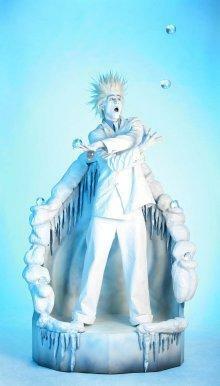 He is frozen into place but could thaw out at any moment – usually when people least expect it! He then displays his delightful and eccentric crystal ball manipulation skills. These are presented in his very own incongruous and engaging Jack Frost fashion. The ice-cave podium is decorated to a high quality and can be installed within almost any event situation. 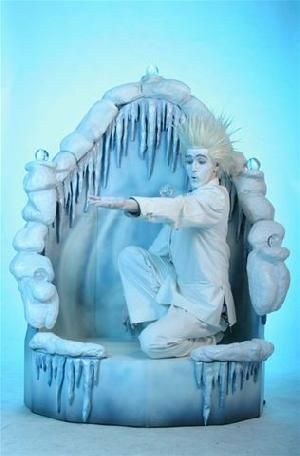 Perfect for winter or ice themed events. Up to eight crystal spheres can be seen in fluid motion around the contact juggler’s body. The balls are rolled, skillfully balanced and deftly manipulated, creating patterns of synchronous beauty. The juggler rolls balls across their arms, balances them at specific points or flips them to new positions, seemingly against gravity. All the time the balls relate to each other, create geometric patterns together and maintain a harmony of movement – almost with a life of their own. Jack Frost usually does 3 x 30 minute sets but is flexible.